This year is passing so fast we are already around that time when we nominate those who made exceptional contribution to the Tableau community. Just like last year, when all of my favorites were honoured to be Zen Masters, I’ll introduce you my current nominees. This year the two guys who I learned the most from, are from Tableau Software, but fortunately there is enough contribution in the scene. 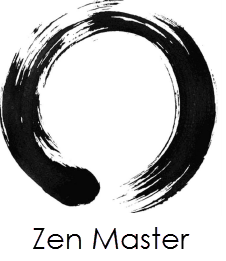 If you’re not familiar with the Zen Master concept you can read more about the zen mastership and nomination process here: https://www.tableau.com/about/blog/ZenMasterNomination. Even if I’m a server guy who thinks that asciinema is one of the greatest achievements in 21th century I must admit that Andy does a great job at evangelising data visualizations and with Tableau in general. The movement of makeover monday, his adorable project dear data two with zen master Jeffrey Shaffer and coaching the heavyweight tableau-goodies content factory dataschool is somewhat extraordinary. Andy is everywhere – but in a good way. Chris made his name this year with his in-depth mapbox blogpost series but the most impactful content was the “Let’s automate all the things“. If you ever wondered how to automate Server installation and configuration then I have good news: Chris collected everything from silent install to Hana SSO setup in one single page. This allows everyone (even me) to make chef, ansible or any other automation tool integration easily. He is a Jedi but will he be a Zen Master? We will know soon. Sometimes, but not too often I help my team to *khm* sell Tableau licences. This involves showcasing the beauty and simplicity of the product along with some examples. Now, the thing that I always use is Robert’s examples. Always. From this year if I would pick two of my favorites then the Comic on Superstore data and Collapsable Menu Container would be those two. Robert is already made his entry to the famous Iron Viz contest. The question is: will he stay Zen as well? I hope yes. But hey, this is just my top three picks and in an incomplete list – the Tableau community is so great that it is hard to find the top influencers.